OKLAHOMA CITY (Sept. 25, 2018) – Donna Gradel, 2018 Oklahoma Teacher of the Year, will officially launch her yearlong tour of Oklahoma this week, vowing to visit schools in all 77 counties by June 30. 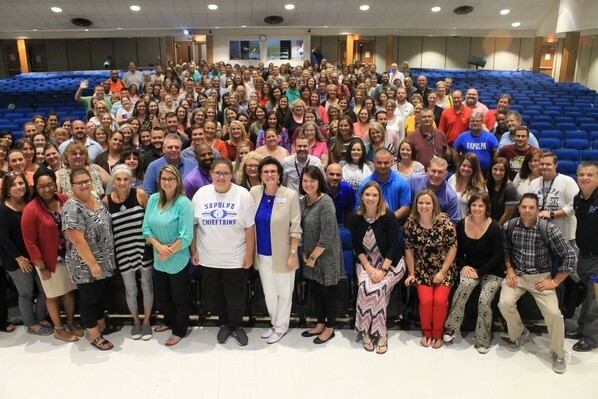 Gradel has been speaking across the state since assuming her full-time Teacher of the Year duties July 1, but with the new school year now in full swing, her focus is connecting with teachers in their classrooms. On Wednesday, she will visit Putnam Heights Elementary in Oklahoma City Public Schools and Putnam City West High School in Putnam City Schools. State Superintendent of Public Instruction Joy Hofmeister applauded Gradel on her initiative. Gradel aims to celebrate exceptional teacher initiatives or education projects through social media and to personally encourage teachers of all grade levels and subject areas, especially emergency-certified teachers who are new to the classroom. An environmental science teacher from Broken Arrow High School, Gradel has already visited a few schools in northeastern Oklahoma. “One commonality I have found, regardless of grade level, socio-economics or geographical setting, is optimism. There is an underlying theme that the tide is changing and the needle is moving in the right direction,” Gradel said. The Oklahoma Teacher of the Year remains in the classroom until the next school year. Becky Oglesby, a Yukon elementary art teacher, was named the 2019 Oklahoma Teacher of the Year at a Sept. 18 ceremony at State Fair Park in Oklahoma City. She will begin her tour the state July 1. Follow Gradel on Twitter @GradelBAHS. Read her blog at http://sde.ok.gov/sde/newsblogs/otoy. To request a visit, email her at Donna.Gradel@sde.ok.gov. 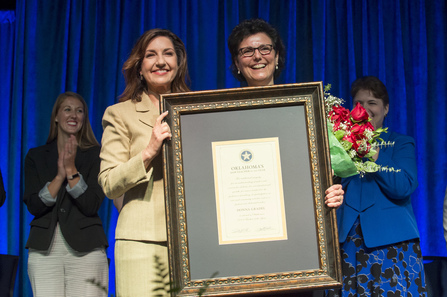 PHOTOS: State Superintendent of Public Instruction Joy Hofmeister presents 2018 Oklahoma Teacher of the Year with a proclamation of the award at a ceremony in September 2017. Gradel kicks off her yearlong tour of Oklahoma schools this week. 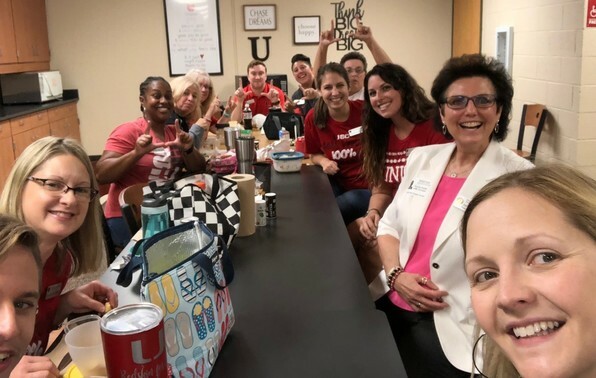 2018 Oklahoma Teacher of the Year Donna Gradel, right, eats lunch with teachers at the Union Eighth Grade Center in Tulsa.